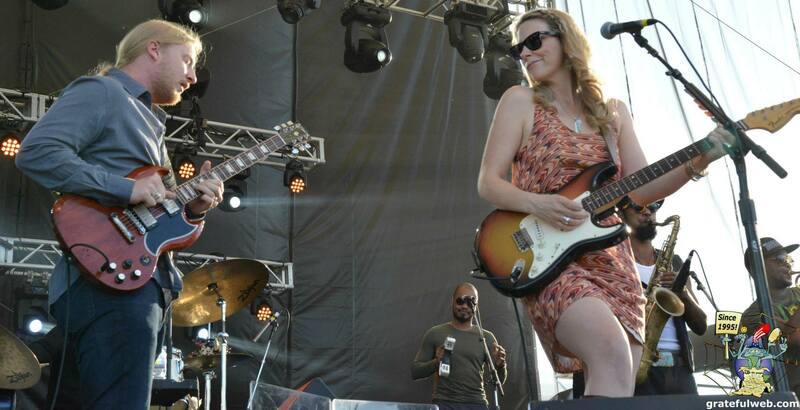 The first two festival dates of 2014 are set: Tedeschi Trucks Band will return to the Wanee Festival in Live Oak, FL and to Mountain Jam in Hunter, NY. The 2014 edition of Wanee runs from April 10-12, and will feature The Allman Brothers Band, Trey Anastasio Band, Lynyrd Skynyrd, Gov't Mule, Jaimoe's Jasssz Band, Chris Robinson Brotherhood and many more, in addition to TTB. The initial 10th annual Mountain Jam lineup includes Bob Weir & Ratdog, Gov't Mule, The Avett Brothers and Damien Marley, with artist additions to come. Mountain Jam celebrates their 10th anniversary from June 5-8. Stay tuned for more exciting announcements as TTB continues to lock in their 2014 schedule.